Hispanic Heritage Month (September 15â€“October 15) in the United States is the period when people recognize the contributions of Hispanic Americans to the United States and to celebrate Hispanic Cultural heritage and Hispanic culture. 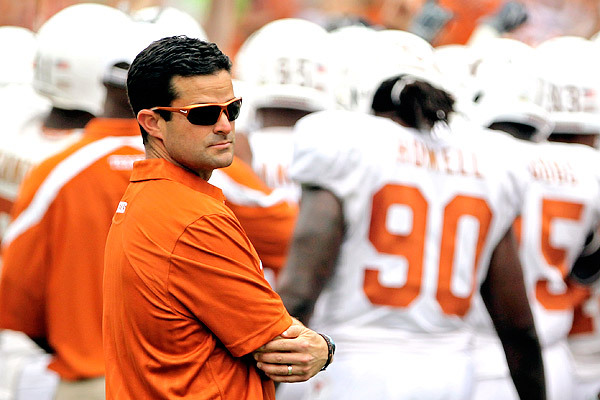 The story of how Manny Diaz Jr. got to this point is well known. From ESPN production assistant to graduate assistant stops at Florida State and N.C. State; from full-time coach with the Wolfpack to defensive coordinator jobs at Middle Tennessee State and Mississippi State, to his arrival as defensive coordinator at Texas. But to really understand Diaz, you must first know his father, Manny Sr.
2011 Atlanta Falcons Hispanic Heritage Leadership Award Recipient The Atlanta Falcons has selected Rudy Beserra as the 2011 Atlanta Falcons Hispanic Heritage Leadership Award Recipient. For this honor he and his achievements will be recognized on the field during the Sunday, October 16 game vs. Carolina at 1 p.m. at the Georgia Dome. Additionally, with this honor, the Falcons will make a charitable grant in the amount of $2000 to a 501c3 in Mr. Beserra's name. Congratulations Rudy! ADE Congratulates Shirley Franklin on Being Named CEO Of Purpose Built Communities, Inc. The Alliance for Digital Equality today bids farewell to Shirley Franklin, Senior Advisor to ADE, as she moves forward to a new opportunity. Franklin has accepted the positions of chair of the board and chief executive officer of Purpose Built Communities, Inc., a national nonprofit organization established to transform struggling neighborhoods into sustainable communities. The work of the organization solves issues that are close to her heart. We wish her well in her new endeavor. According to the Communications Workers of America (CWA), the proposed merger of AT&T and T-Mobile will create as many as 96,000 new quality jobs, accelerate broadband build out, and improve wireless communications and innovation. ADE had the opportunity to speak with CWA President, Larry Cohen to talk and learn about their position on the AT&T / T-Mobile merger. On employment and income, for workers, this merger means badly needed jobs and higher compensation. For communities, it means increased purchasing power and for consumers, it means better offerings on the latest in technology and innovation. Join CWA and ADE in calling for a broadband reality and support the AT&T / T-Mobile merger. Contact the FCC at www.fcc.gov today! Thank you for your support as we continue to 'Empower Communities Across the Digital Divide'! Students participating in our Learning Without Walls (LearningWOW) program at North Clayton Middle School (Georgia) were featured on CNN's "What Matters" segment highlighting their accomplishments since the program's inception. Help ADE expand the LearningWOW program to other schools and community centers across the nation. Your participation will enable us to ensure that underserved communities have equal access to technology. Help us improve the potential of others! Thank you for your support as we continue to "Empower Communities Across the Digital Divide"! Cable’s only real competition comes from Verizon’s FiOS fiber-optic service, which can provide speeds up to 150 megabits per second. Beeps and blinking lights are the constant chatter of a hospital intensive care unit, but at the I.
SAN FRANCISCO – While politicians and tech leaders decry a lack of engineering talent in the USA, and college graduates struggle to find work, a growing number of tech companies overseas are swooping in and recruiting some of America's best and brightest. Copyright © 2007-2011 Alliance for Digital Equality. All rights reserved.